Welcome to Northern AZ Tattoo Fest 2019! This year marks the 7th installment of Prescott’s own international tattoo convention. 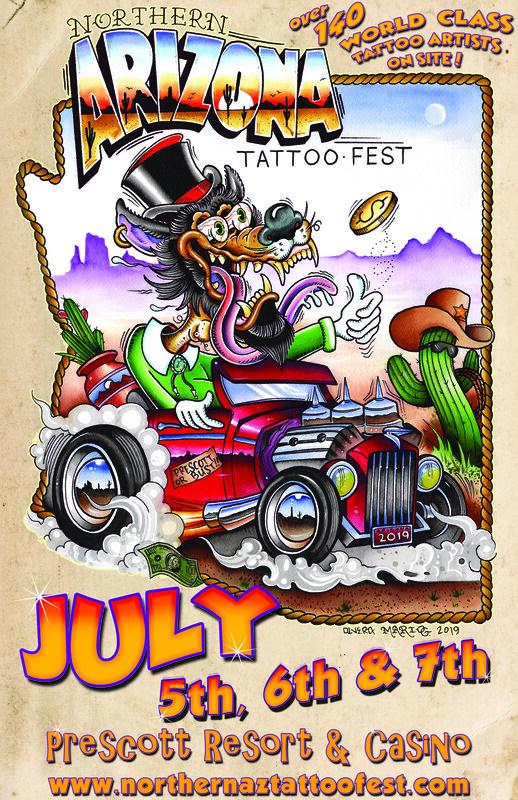 We pride ourselves in bringing together some of the World’s greatest tattooers to Prescott once a year, for a 3 day celebration of great tattooing. This year, not unlike years past, there will be tattooing on site, live music (including local musicians), a pinup pageant, tattoo contests, and a diverse collective of vendors.